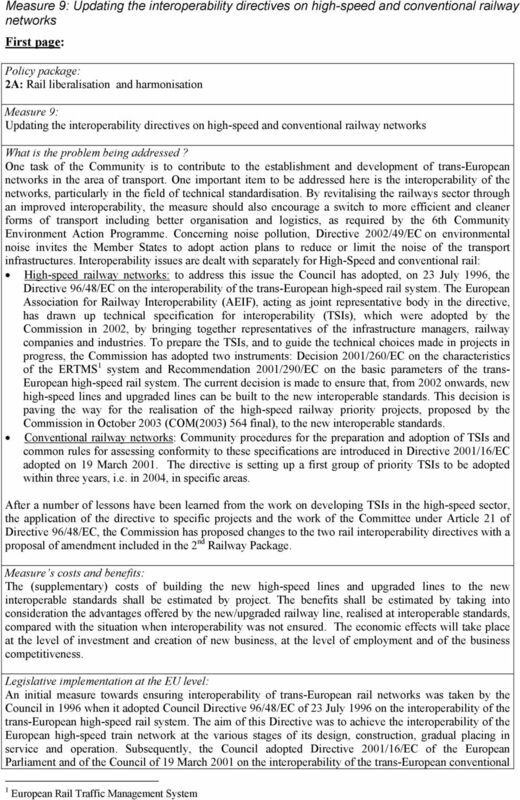 Download "Measure 9: Updating the interoperability directives on high-speed and conventional railway networks First page:"
The results of this consultation will feed into the Commission impact assessment which will accompany the proposal on an EU coordinated approach. 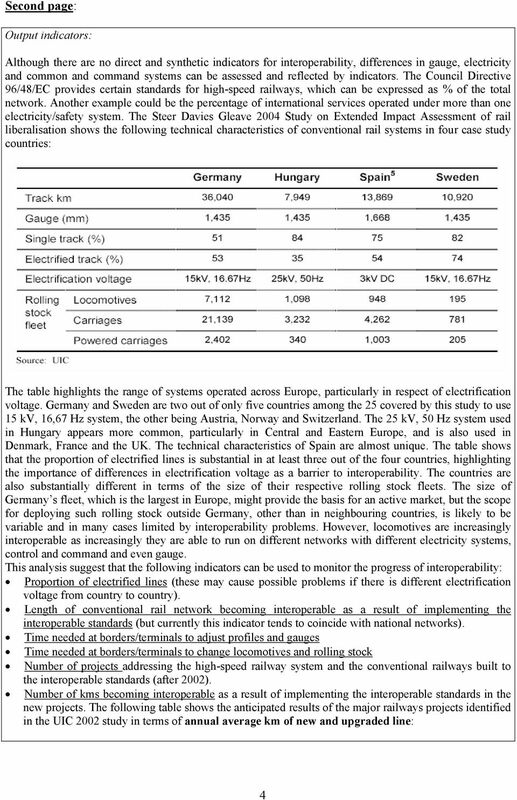 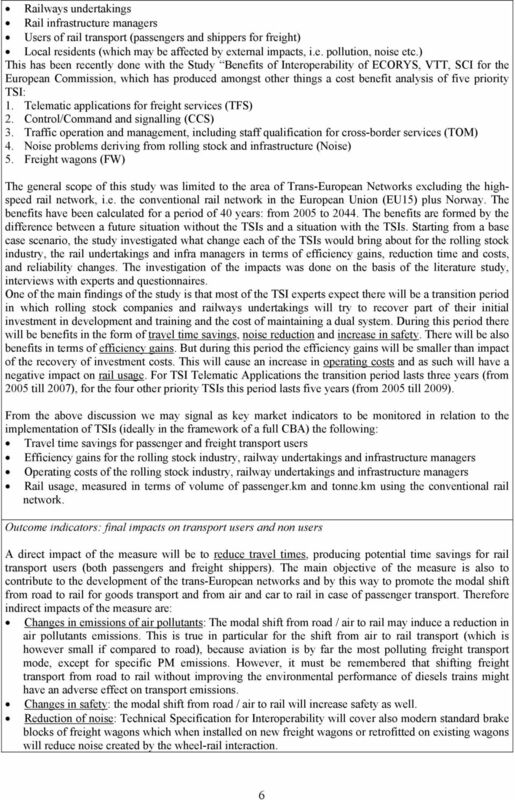 Railway Reform in Europe: from endangered species to sustainable systems? 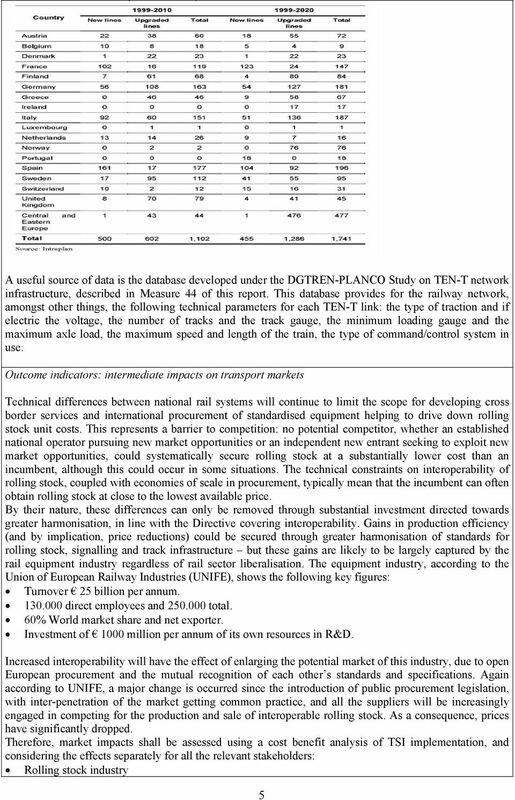 RAIL FREIGHT CORRIDOR CZECH REPUBLIC - NETHERLANDS ACTION PLAN 2008-2013 July 2006 DRAFT This action plan has been decided upon by the Ministries of Transport from the Czech Republic and the Netherlands. 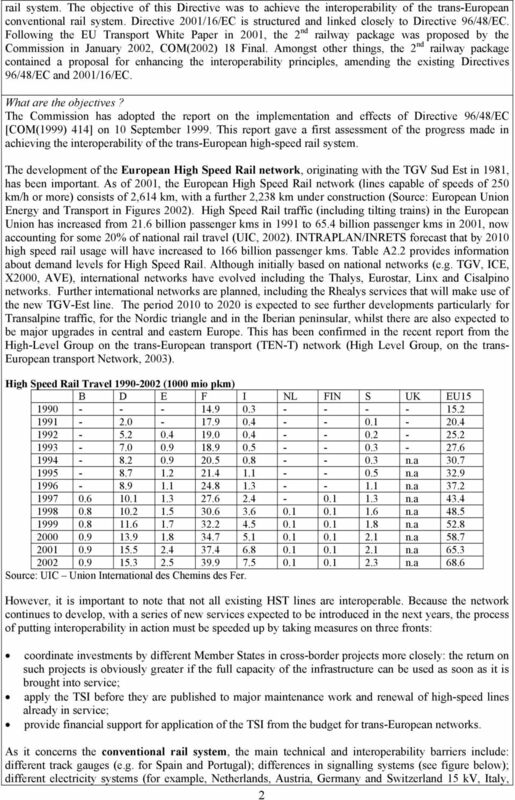 The planned delivery date of the two studies, defined in the Mandate (Point 3.2 of the Annex) is 4 November 2010.